Alcatel's successor to its budget-friendly Alcatel OneTouch Hero phablet is the 6-inch, stylus-wielding Alcatel OneTouch Hero 2+. It has a 6-inch IPS display with Dragontail glass, which squeezes out a resolution of 1080x1920 pixels. The device is powered by a 2 GHz octa-core MediaTek MT6592 SoC with LTE connectivity, 2GB of RAM, 16GB of on-board storage and microSD on board. There are two cameras - 13.1 MP cam on the back, and 5 MP front snapper. 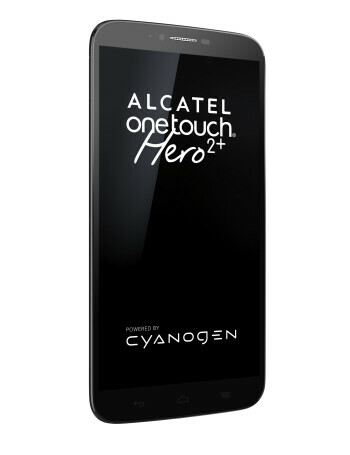 The phone runs CyanogenMod 11.